When it comes to the reusable bottle battle, Klean Kanteen has been a main contender for years. They’re all about ethical manufacturing, being eco-friendly, and providing a quality product with a lifetime guarantee. The latter being a lovely thing for those of us who are hard on gear. For these reasons, we’ve given the Klean Kanteen Insulated Classic 32oz bottle our Classic Pick award for the Car Camper. Prepare to read about this bottle and my coffee drinking habits below! Weight 14.9 oz (422.3 g) Average weight for a double-walled, stainless steel, 32-ounce bottle. Heavy, but not exorbitantly so. Volume 32 oz. (946 ml) Roughly liter of water is our sweet spot for solid hydration and weight. Drink up. Body Material Food Grade 18/8 Stainless Steel Construction Klean Kanteen uses high quality stainless steel. The paint by scratch, but the bottle won’t dent or damage easily. Insulation Time Hot: 24 hours, Iced: 90 hours Extremely long insulation claims, and we were surprised that this bottle lived up to them. You can keep a drink hot for a full day, or iced for half a week. Mouth Type Narrow This is a narrow mouth overall, but not extremely narrow. You can fit some ice cubes, though not all. We like this for drinking, but would prefer a wider mouth overall. Lid Leak Proof Loop Cap Klean Kanteen’s classic loop cap. Screws in easily, creates a seal, can be held with two fingers. Also works with any other standard-mouthed Klean Kanteen caps. Height 10.8 in (27.5 cm) A standard height for an insualted 32-ounce water bottle. Base Diameter 3.6 in. (9.1 cm) A wide base. This is a beefy bottle. Mouth Diameter 1.75 in. (4.4 cm) A cap that’s just between standard-sized and narrow. May have to buy a different ice tray to make it work. Free Of BPA Stainless steel is naturally free of BPA and many other harmful chemicals. The lid is made of BPA-free plastic. Other Sizes 20 oz., 64 oz. We like the 32-ounce version best for drinking at camp, but the smaller size is good for hauling around town. The largest one is very large, and meant for those who need a ton of hot or cold liquid. Manufacturer Warranty Strong-as-Steel Guarantee Klean Kanteen doesn’t outright say what its policy is on their page, but implies that if there’s a manufacturing issue or defect they will replace your bottle at any time. Scratches and dents are not covered. Retail Price $36.95 A big cost for a water bottle, but it will keep a lot of liquid hot or cold for a very long time, and it’ll last. I love coffee. I drink too much of it and need it near me at all times. Really. This amazing love affair has turned me into somewhat of an expert on insulated bottles. During the month of October, I’ve been endlessly on the road and in the tent, making caffeine and hydration two suddenly serious issues for me. (Well, caffeine was already a serious issue, but you know what I mean). So I was pleased as a pickle to receive this giant Klean Kanteen Insulated Classic from my editor. It seemed like the perfect bottle: BPA-free, leak-proof, a little mouth opening and big enough to hold a bunch of liquid gold. About two Deirdre-sized cups of coffee to be exact. The Klean Kanteen Insualted Classic 32oz — not too shabby. Right off the bat, I fell in love with this bottle, and I’m not just saying that. I drank out of it with zero (well, nearly zero) spills — even on gnarly Jeep roads. I beat it up thoroughly by dropping it basically everywhere — in Taos, in New Mexico’s high peaks and in the high Rockies — and it has come up with just one single scratch, and that’s on the surface. The real thing that clinched it though is that my beloved coffee stayed at the perfect drinking temperature. Even when I left it in my car for 24 hours. And it was really cold out! Waking up that next morning to a hot drink was awesome. Not having to devolve to make fresh coffee in the chilly mornings is an ideal situation! The lid easily twists on and off — you’d think this would be standard for all bottles, but it’s not. The Insulated Classic is a smooth opener. I tested out the leak-proof claim by vigorously shaking and tossing the bottle around — trust me, it won’t leak. The loop-cap is excellent for clipping onto packs or hanging your fanciest keychains off of. The lid also fits any Classic Klean Kanteen bottle, a bit of versatility that I think is really thoughtful. The lid is an easy screw on with a small hole for carrying or carabiner-ing. Klean Kanteen was one of the first to have a lid like this. This bottle comes with a lifetime Klean Kanteen’s “Strong As Steel” guarantee, but I don’t think you’ll have to use it. This 18/8 food-grade stainless steel stuff is apparently bombproof, because I have a very hard time not dropping and destroying things in all kinds of ways. No lid dents or scuffs and no denting on the bottle itself. At the end of weeks of serious abuse, this poor bottle still looked new, with a small scratch in the paint. This is a large and in charge bottle. It doesn’t fit in cup holders or bottle cages. But you know what it does do? Hold a whole bunch of liquid. Because of its 32-ounce capacity and rather large shape, it’s definitely a little clunky. But that’s where the small diameter mouth opening is fantastic. It feels like you’re drinking from a more standard sized bottle. A large bottle means lots of liquid. Make sure you have a place to throw it. Bottom line here is if you want a big bottle, know what you’re getting yourself into with the Insulated Classic. I put this to the test in many instances, but I’ll give two prime examples of this bottle’s insulating powers. First test, the cold test. Klean Kanteen claims 90 hours of keeping an iced drink iced. So I got real basic with it and loaded this guy up with ice water. I then sat it out in the hot New Mexico sunshine for three days and change, sipping out of it every few hours. When my super amazing research period was over, I unscrewed the cap and saw (drumroll) a bunch of ice. So it seems that the 90 hour claim is accurate. That’s an impressive claim, and was impressive to witness, by the way. The Insulated Classic lives up to its hot and cold claims — more than most bottles can say. For my hot drink test, I filled the Insulated Classic to its brim with dark, magical coffee, screwed on the cap and tossed it in my car for 24 hours. I was camping at tree line in the San Juans. It was real cold out, my guess is somewhere near freezing. I figured it was a great test and also, if the hot drink claim was accurate, I would have hot coffee in the morning with zero work. A classic example of a win-win-win. And I won. After about 24 hours in a very chilly car, my coffee was hot and tasty. I’ll admit, it had lost a bit of heat, but it was still quite hot and I was very satisfied. If I had to rank the heat on DeDe’s Scale of Drinkability, I would place this coffee smack in the middle of “old coffee at a cafe” and “scalding hot gas station coffee”. So nearly ideal. I tried to rack my brain for something to be picky about here. But the truth is, there really isn’t anything. The Klean Kanteen Insulated Classic bottle does what it says: keeps drinks cold or hot. It has an easy to drink from mouth, it comes in a bunch of colors, and it’s very, very hard to damage. The lid is easily replaceable and the ability to clip stuff onto it is dope. If you can deal with an insulated water bottle that won’t fit into a cup holder and/or some backpack pockets, you really can’t go wrong. The go-to high-volume insulated water bottle. It’s straightforward to use, has an excellent build quality, and makes no fake claims. You know exactly what you’re getting when you get the Insulated Classic. And I like that! And I like coffee! Coffee!! 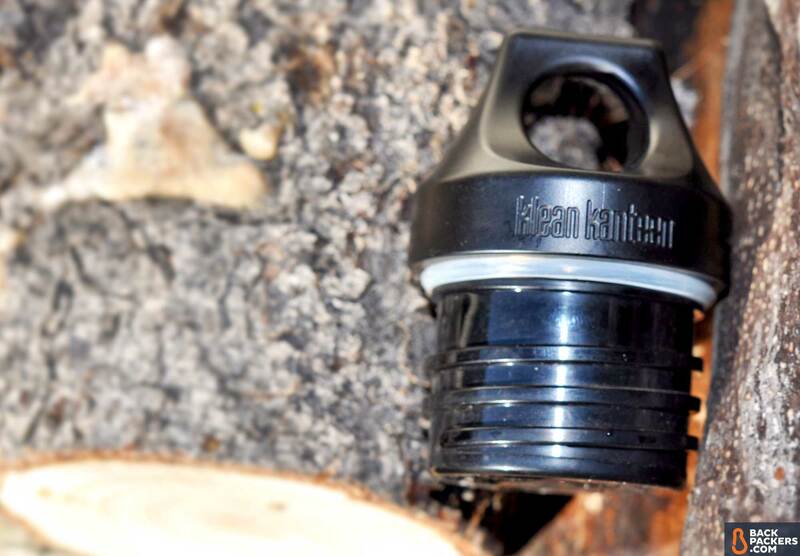 We tested the Klean Kanteen Insualted Classic 32oz bottle. It’s a common model that’s been a staple in the insulated world for a long time, and can be found most places that Klean Kanteen is found. This form factor, with the more standard size lid, is also available in 20oz and 64oz capacities. These work well, but don’t pack quite the same punch for us. Compare Klean Kanteen Insulated Classic 32oz prices below.